A Scripture Service, followed by a time of sharing and remembering will be held on Tuesday evening at 7:30 PM. A man of deep and unshakable faith, Donald Joseph Ryan lived a life rich in love and family. Honest and true, determined and dedicated, independent and faithful, Don embodied his faith and inspired others to do so as well. With a natural ability to do ordinary things in extraordinary ways and with a deep love for laughter and savoring the littlest moments in life, Don was an inspiration to all. A gift to many, Don will be deeply missed and long remembered by all who knew him. The 1920’s were marked by tremendous confidence, prosperity, and previously unknown comforts. The economy boomed, wages rose for most Americans and prices fell, resulting in a higher standard of living for most. This vibrant time grew even more brilliant on November 22, 1927, in Lynn, Massachusetts, as Joseph Martin and Helen Christine Ryan welcomed their son Donald into their hearts and home. Growing up in Everett, Massachusetts during the 30s and 40s, Don learned firsthand the gifts and challenges of times of plenty and times of want. While his father provided for the family by working as an accountant, his mother was a proud homemaker. Donald was the third of the five Ryan children, flanked by his older brothers Joseph and Richard and his younger siblings Thomas and Nancy. Sadly, the family suffered the deep losses of both Joseph, who died at age 12, and Thomas, who died as a newborn. Through the darkness of these losses, love abounded in the Ryan home. Dozens of relatives, spanning generations, lived together and helped raise one another, and Don grew up in a full and loving household. From his earliest days he grew to have a powerful sense of what is most important—relationships with loved ones and God—and this formed the firm foundation upon which Don consciously built the rest of his life. During his high school years, Don was an excellent student and athlete. He enjoyed competing in debate, gymnastics and track, and delighted in ambitious bike expeditions and long swims with his close and beloved Uncle Lenny. 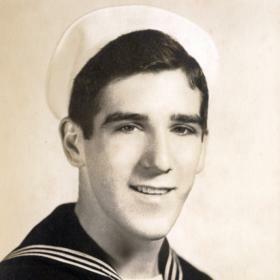 Upon graduation in 1945, Don enlisted in the US Navy and proudly served his country through the end of the war. 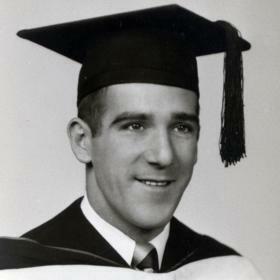 After completing his Naval service, Don attended St. Michael’s College in Vermont until his high school friends, Giles and Vinny, persuaded him to move to Grand Rapids, Michigan and join them at Aquinas College. Don joined his buddies and transferred to Aquinas, where he majored in Biology and Chemistry. It was Giles who introduced Don to Patricia Louise Feldpausch, who captured Don’s heart as soon as they met. 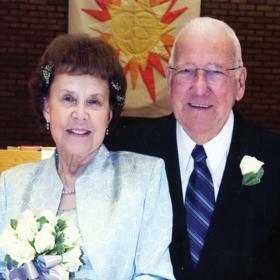 The young couple remained irresistibly smitten as they dated for six months, and they married on September 8, 1951 at Patricia’s home parish, St. Thomas the Apostle Church in Grand Rapids. While beginning to build his young family, Don attended graduate school and taught at the University of Marquette in Milwaukee, Wisconsin for a year. The couple returned to Grand Rapids to surround themselves with family once again. Don was hired by Haviland Products where he worked initially as a chemist and later as Packaging Director and Director of Safety and Compliance, among other roles, for nearly 40 years until his retirement. God blessed Don and Pat with a family that never stopped growing—soon their first house on Woodmere SE was filled with the joyful sounds of their first several children. Don’s work with Haviland took him and his family to Parchment, Michigan, where they continued building their family for six years. The family’s time in Parchment was a source of rich and tender memories, filled with the images of fruit trees and adventures with Mac the family beagle. To the family’s delight, they were able to return to Grand Rapids, and they moved into the house just next door to the one where they had begun raising their children. This second house on Woodmere was a loving home to all ten of Don and Pat’s children: Joseph Donald, Christine Marie, Kathleen Margaret, Patricia Ann, Mary Louise, Michael Urban, Thomas Raymond, Timothy John, Maureen Therese, and Margaret Sharon. The Ryan family was rich in tradition that was securely centered on their Catholic faith. With great sacrifice and unwavering commitment, Don and Pat sacrificially provided each of their children with a faith-based education. All of the children attended St. Thomas the Apostle Catholic School and Catholic Central High School or Marywood Academy. Over the years, the family enjoyed vacations out east to visit Don’s relatives and spending cherished time at their cousins’ rustic cabin on the South Branch of the Pere Marquette River. The home reverberated with ta strong sense of Irish pride. As both sets of Don’s grandparents were Irish, with strong ties to the homeland, Don impishly claimed to be “200% Irish,” and every St. Patrick’s Day he woke the family to Irish music. As a father, Don was truly devoted and a man decades ahead of the times. He shared the homemaking and child raising with Pat, lending his talent to bathing, diapering, cooking, cleaning and whatever else was necessary to keep the household running smoothly. He was a master griller whose steaks, burgers, and Cornish game hens were unrivaled. Not only was Don a hard worker, but he also understood the importance of play and was an avid card player, especially fond of cribbage. He enjoyed watching Notre Dame football and was a fan of U of M and MSU as well. He appreciated the challenges of crossword puzzles and Scrabble, was a worthy chess player, loved to golf and hunt small game and deer. As the children grew older, Don avidly encouraged Pat’s pursuit of a nursing degree at the age of 55. With Don’s support, Pat was soon working as an LPN at Kent Community Hospital. For many years, the couple traveled all over the US in their camper, enjoying the road, the splendor of the country, and each other’s good company along the way. While their work and travels afforded many adventures, their greatest journey was becoming grandparents! Don delighted in being a grandfather and was very involved in all aspects of his grandchildren’s lives. He lovingly cared for them and proudly attended their special events. He taught them cribbage, fed them ice cream, sang them songs, and entertained them with his famous riddles and jokes. In time Don and Pat decided to downsize. 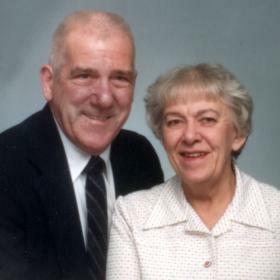 They moved to a ranch home on the west side of Grand Rapids where they intended to “spend their Sunset Years on Sunset Hills NW.” Here they continued to foster their rock-solid faith, enjoyed time with family and friends, and treasured days spent together. Over the years, as Pat’s health declined, Don lovingly attended to her needs, her comfort, and her happiness. Faithfully, he cared for her through the ups and downs of the final stage of her life. Don was heartbroken when his “sweetie” died on September 20, 2002. The grief he felt at her loss led to an ever deeper and more profound faith in and appreciation for his remaining family. With courage and faith, Don continued to be an anchor of love and connection for his children and grandchildren even as he began the hard work of living each day in the absence of his beloved. During these days Don focused on spending time with family and friends, especially his children and grandchildren. His days were filled with golfing, camping and traveling across the country to visit children and grandchildren outside of Michigan. In 2007 he celebrated his 80th birthday, surrounded by a family still growing and rejoicing in the love and laughter he taught them. During the celebration, Don was reintroduced to Beverly Sironen, an old friend and former co-worker, who had suffered the loss of her devoted spouse years before. The two began dating and were amazed and delighted to find such a vibrant connection late in their lives. They married on April 25 of 2009, joyfully welcoming the unexpected gift of this new chapter in their shared lives. Their delight was multiplied abundantly in the joining together of their two families. Together they shared the blessings of grandchildren and great-grandchildren, numbering over 100. Don, who had been known as Dad and Grampy to many, was now embraced as Daddy Don and Papa Don by an even greater abundance loved ones. Don and Bev loved to go out dancing, and they traveled to Ireland, Finland, and Sweden and visited family throughout the US. For seven years they enjoyed life together both as an adventure and as a tender blessing. Sadly, on November 22 of 2016, Beverly died of a massive stroke. Don found himself heartbroken again. With the wisdom he’d gained long before, and lived daily,he found the sustenance he needed in his strong faith and the love of his family. For those who knew him best, it is easy to attest to the fact that Don lived life wholeheartedly. He embraced life’s trials and triumphs equally, recognizing the blessings in each. He lived his gratitude by giving all that he could to his family, and he welcomed any opportunity to grow and learn. Don consciously endeavored to embody the values of his faith: he loved unconditionally, embodied integrity,practiced forgiveness, encouraged peace, and walked humbly with God. His heart was a safe harbor for others and his faith-filled life a model for others to strive to emulate. Very much according to his wishes, despite mounting serious health challenges that slowed him down during his final years, Don continued to live in his home, remained involved in family activities, and visited with friends. Endowed with remarkable self determination, it is no wonder that Don was able to live independently amid significant health conditions with assistance of hospice care for a mere 24 hours before he died. On the morning of January 5, 2018, Don passed away at home with family at his side and others too numerous to count praying for his safe and peaceful passage. Surely, the absence of Don’s steadfast presence has left a sense of profound loss for many. His indomitable spirit, however, lives on. May it bring deep comfort to know that with each Irish melody we sing, each prayer we recite, each joke we tell, each scoop of ice cream we enjoy, each helping hand we lend, and each infectious smile we share, we are living Don’s beautiful legacy of love in each of our own lives. Donald Joseph Ryan, aged 90, of Grand Rapids, passed away at his home on Friday, January 5, 2018, with his loving family at his side. 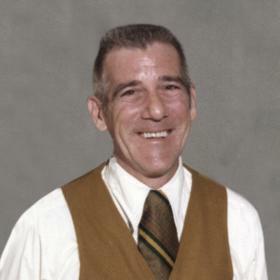 He was preceded in death by his first wife, Patricia L. Ryan (Feldpausch); his second wife, Beverly L. Ryan (Sironen); his grandson, Shawn Cheyne, and his brothers, Joseph Ryan and Richard Ryan. He is survived by his children: Joseph & Ruthie Ryan, Christine Ryan & Douglas Aleski, Kathleen Ryan, P. Ann Ryan & Melinda Wilkins, Mary & Andy Way, Michael & Pamela Ryan, Thomas & Sylvia Ryan, Timothy & Erica Ryan, Maureen Girty-Andrews & Kevin Andrews, Margaret & Thomas Kosnik; step-children: Gary & Denise Sironen, Gordon & Jane Sironen, Gene & Heidi Sironen, Gail & Brian Mazurek, Paula Keena, Rich & Shawn Sironen; 50 grandchildren and 68 great grandchildren; his sister, Ann Lee “Nancy” Stanford; sisters-in-law, Ann Ryan and Helen (Robert) Gardner; brother-in-law, David (Joan) Feldpausch; his dear lifelong friend, Giles Courtney; many nieces, nephews and friends. The Mass of Christian Burial will be celebrated on Wednesday, January 10, at 11:00 am at Holy Spirit Catholic Church, 2230 Lake Michigan Dr. NW. Relatives and friends may meet Don’s family at Heritage Lifestory Funeral Home, 2120 Lake Michigan Dr. NW on Tuesday, from 2:00 - 4:00 and 6:00 - 8:00 pm, with a scripture service and sharing at 7:30 pm. Visitation will be held again at the church on Wednesday from 10:00 am until Mass begins at 11:00 am. Burial in Rosedale Cemetery. Contributions in his memory may be made to Aquinas College Scholarship Fund. To read more about Don’s life, to sign his guest book and to leave your own memory of him, visit his web page at www.lifestorynet.com.